Strollers. One of the first things parents usually think of buying for a baby. As a new mom you'll soon learn that they are not all created equal and that most times, you get what you pay for (or what your shower attendees pay for!). The world of strollers is complex and this is my attempt at simplifying your choices, so bear with me! First, there is no 'perfect' stroller. All of them have their shortcomings. One may fold easy, but lacks storage space. Another may have plenty of storage but be too heavy. Yet another may be very heavy but expandable to carrying two children. I will never recommend something I wouldn't love or at least like to use myself - so all of these have the Eco-Babyz seal of approval for the purpose they have been intended for. Some brands we've worked with, others I have only tried, and some just have rave reviews from other real parents like us. Many of these fit in multiple categories, for example - a stroller can be parent facing and compact, or some all-terrain strollers may be expandable to accommodate more children. When I had my first baby, I underestimated how much the fold and weight of a stroller would impact our travel. We made the mistake of buying something that just wasn't working for us and was much too heavy (over 26 pounds). Although some strollers may weigh a lot, but have a very non-bulky, easy to navigate design I highly recommend a stroller in the first category because it will simply make your life easier. It may not have all the features you want, but you'll be thankful you have something that's just easy to use - being a parent is hard enough and you'll always have your hands full. Most moms have a rather active lifestyle - errands, visiting relatives, appointments, activities for older children, outings, travel. You don't want a stroller that will hold you down. If you do, however, live someplace where you are not in and out of the car every day, it may be more comfortable to have an all-terrain stroller that you wouldn't even bother folding if you have a garage or large entry way. I do not recommend the conventional travel system (heavy full size stroller with matching infant car seat). It's backbreaking, inconvenient, and bulky. Unfortunately they predominate the market, but there are much, much better options out there that you may not find at a big box store. Not all of them are expensive either. At least they will not bring you to tears as you fold them. These strollers are all-around the most convenient. You may have to sacrifice a few features, but not necessarily in every case. For most parents, this type of stroller will work to their advantage. 1| Bumbleride Flite ($180-$220): Not the easiest fold (requires two hands), but very light weight and compact storage. The Flite is an umbrella fold stroller, but that can be deceiving - it has more features than many full size strollers. It even accommodates a newborn carrycot (sold separately) and has car seat adapters. I have personally used it and it is a very high quality brand and model. See detailed video here. Weight: 14 pounds. 2| Infant Stroller Frame ($60 - $140): I used one that we borrowed from a friend with our first child and it was awesome! It is the perfect infant solution to running errands, they always fall asleep in the car seat and last thing you want is to have to transfer them to a stroller. This was great for shopping, but we still had a stroller for daily walks because it isn't recommended to have an infant in the car seat for prolonged periods of time. Weight: 12 pounds. 3| Valco Snap ($220 - $250): The Snap comes in a three and four wheel version, whichever you prefer. 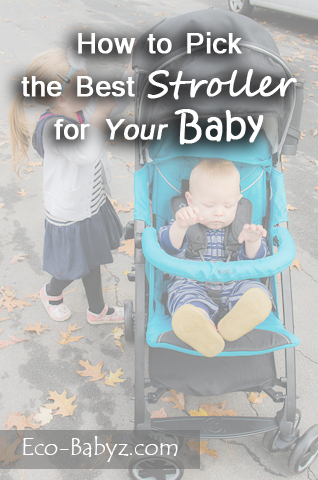 It is one of the lightest strollers out there and has a very easy fold. It's perfect for travel, shopping, errands, and the on-the-go family. See detailed video here. Weight: under 14 pounds! 4| Baby Jogger City Mini/GT ($250 - $350): This is the stroller we've used for the past four years, we bought it in like new condition on Craigslist for $160! I loved it, it just made travel so easy. I could hold baby in one hand and fold the stroller with the other. It easily fit in our sedan trunk with lots of room to spare. The biggest cons for me were small storage space and no parent-facing option. But the weight and fold more than made up for it, otherwise I wouldn't stick with it for so long! The newer GT version is like the City Mini on steroids, nicer wheels, etc. See detailed video here. Video comparison of the regular and GT model. Weight: 17 pounds for City Mini and 21 pounds for the GT. 5| Britax B-Agile ($180 - $250): A very similar design to the City Mini, with the same one-hand fold. Slightly lower price range, but not by much. You can purchase it with a matching B-Safe car seat. The Britax brand has been very reliable, even though they specialize in car seats, their strollers are great too. See detailed video here. Weight: 16.5 pounds. 6| Stokke Scoot ($699): A new kid on the luxury block this spring, the Scoot has an easy fold and my personal must have - reversible seat. A highly regarded, superior quality brand, hence the price. It's a precisely engineered piece of equipment for those that are inclined to that! It weighs a little more than I would hope for a 'lightweight' stroller, but I think the handling and fold will make up for it, it's not at all bulky and rather svelte. See a preview on the Stokke website. Shhh! Don't tell anyone... We will have an exclusive video coming soon here at Eco-Babyz! Weight: 26 pounds. For parents who are active joggers, there are many options today. Thankfully, unlike the predecessors from decades past, today's joggers actually fold. But still, they are not particularly the most compact or lightweight, most conveniently residing in a garage or spacious entryway. 7| Baby Jogger City Elite ($400): This stroller is perfect for walking some trails, unpaved roads, navigating less than perfect sidewalks, and stroller at the beach. It is not intended for jogging, but rather a variety of rough terrain. It has the same one-hand fold of the City Mini. See detailed video here. Weight: 26 pounds. 8| Bumbleride Indie ($420 - $515): The luxurious and super stylish Indie grants a smooth ride, huge storage space, high comfort rating for baby, and a generous canopy. It also gets pretty rave reviews from most owners. The fold may not be the most simple of compact, but not too complicated. It's also rather light for an all-terrain stroller. See detailed video here. Weight: 20 pounds. 9| Baby Jogger Summit X3 ($430): This stroller is made for hard-core jogging enthusiasts and is acclaimed by parents who never stopped jogging after their babies were born. Uhm, that would not be me, but a great option for parents active outdoors. Same famous one-hand fold! See detailed video here. Weight: 25 pounds. Parent facing strollers are relatively new in the United States but have always been the norm in Europe. I have found this to be one of my favorite features that I had to sacrifice for a light weight and easy fold stroller back in the day. Thankfully today there are parent facing strollers that are both light(er) weight and convenient. 10| JJ Cole Broadway ($380 - $450): stroller with a 360 swivel seat that transforms to parent facing. The seat itself transforms to a newborn bassinet. It's stylish and has most things a parent wants in a stroller. See detailed video here. Weight: 24 pounds. 11| Bugaboo Buffalo (about $900-$1000) NEW on the market this spring (not even for sale yet), this one is both all-terrain and parent facing! A crazy price tag for sure, but high quality and amazing features. A little preview on their website. Weight: 26 pounds. 12| Stokke Scoot ($699): I know, this one fits in the first category too! I just had to mention it again because the parent-facing feature of this stroller is by far defining. See a preview on the Stokke website. Weight: 26 pounds. 13| Valco Spark ($400): This stroller has some amazing features, the seat transforms into a newborn bassinet and is completely reversible to face parent or face out. Great suspension in the tires, full coverage canopy, and included boot cover. Great price for something so versatile, comparable to much more expensive strollers. See detailed video of the Spark double stroller here, same stroller but the one for two kids. Weight: 24 pounds. 14| Peg Perego Book Plus ($500): Yet another new stroller on the market from a very popular brand, lo and behold, everyone is embracing the must-have parent-facing feature. This one comes with a foot muff and has a very easy fold. See detailed video here. Weight: 22 pounds. 15| Mutsy EVO ($400): A smooth and soft ride for baby in a reversible seat. Neat ergonomic features and a compact fold (albeit it does require two hands). See detailed video here. Weight: 27 pounds. As most families expecting their first child, it will most likely not be your last. So why not get a stroller that will grow with your family to accommodate two small children? Great idea, isn't it? We love these strollers because they can be used as a single and a double! The Britax (16) and the Baby Jogger (18) also have endless configuration options where your child can face you or you can use a stroller seat and a car seat adapter at the same time. The second seat comes at an additional cost for these. The videos for these are must see! 14| Britax B-Ready ($340 - $500): Though bulky and heavy as most will agree, this stroller can do anything for one or two kids. Endless configuration options. See detailed video here and another video of the B-Ready as a double. Weight: 26+ pounds (36 with second seat). 15| Phil and Teds Navigator ($500): Although the main seat can only be forward facing, the addition of a second seat in the back makes it a versatile choice for a growing family. Large tires are great for varied terrain. See detailed comparison video of the Navigator and the smaller sister, the Dot (more compact). Weight: 28 pounds. 16| Baby Jogger City Select ($500): Large and bulky, but with a myriad of configurations. Somewhat compact fold, very easy to do with one hand. See detailed video here. Weight: 28 pounds, 34 as a double. Mountain Buggy Urban Jungle ($500): All terrain, durable stroller with lightweight aluminum frame. Weighs 24 pounds. See video. BOB Revolution ($300 - $470): An all-terrain stroller for being active outdoors. Easy two-step fold, lightweight frame. Weighs 23 pounds. See video. Baby Jogger City Versa ($400): A reversible seat, all-wheel suspension, and a really easy one hand fold. Weighing at 26 pounds. See video. 4Moms Origami ($850): How do you justify the price? It's the only self-folding stroller in the world. Yep, push of a button! But it is one of the heaviest strollers at 29 pounds. Now if only it could put itself in the trunk too... See video. UPPAbaby Cruz ($460): A full-size stroller with reversible seat, generous storage basket, and modern design. Weighs 22 pounds. See video. Maclaren Techno XT ($343): A high quality umbrella stroller with reclining seat and wheel suspension, very popular for city and travel. Weighs 14.2 pounds. See video. A stroller can be quite an investment, but it really pays to pick the right one. Often times you will not really know what you want in a stroller until the baby arrives! That's why the simple infant car seat stroller frame is a good idea until you know what you want. You can predict which features are most valuable to you and have it on your baby registry as well, hoping for the best and that it will suit your lifestyle post-baby! What stroller works for you? Have you ever regretted a purchase? Disclaimer: This article contains affiliate links, your purchase supports Eco-Babyz at no extra cost to you. Thank you! What a great stroller guide! Learn from my mistake, never get a jogging stroller that doesn't have an option for a swivel front wheel. It's horrible! We have a Joovy Caboose Ultralight and we really like it. Should have just gotten that from the get-go. Also have a Chicco umbrella type stroller which is smaller and works wonderfully, even on European cobblestone! 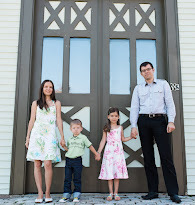 This is a great review, Nastia! Thanks Angie! When I noticed your comment I totally remembered I meant to put a Maclaren on this list... :) So I just added it to 'more options'! It's truly one of the best options for lightweight ones. This is a great comparative list. We used the B-Agile and were very happy with it. Easy fold and relatively lightweight.